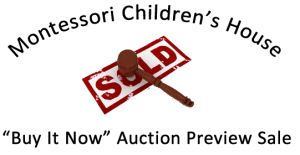 The 2014 Montessori Children’s House “Buy It Now” Auction Preview Sale has begun! The preview sale will run through April 6th. South Africa’s Zululand conservation region – one of the richest conservation regions in Africa. -Full board including three meals per day, prepared by the world-class, ethnic chefs – with an African flavor. -Two game viewing activities per day guided by professional game rangers in open game viewing vehicles on the Zulu Nyala Game Reserve. Child’s Dental Check Up Including Cleaning, Exam and X-Rays at any of the 7 locations. Disclosure: package is good for beginner terrain and for ages 8 and up only, package expires: 4/ 2015 or end of 2014/2015 season. CLICK HERE to purchase an item today!